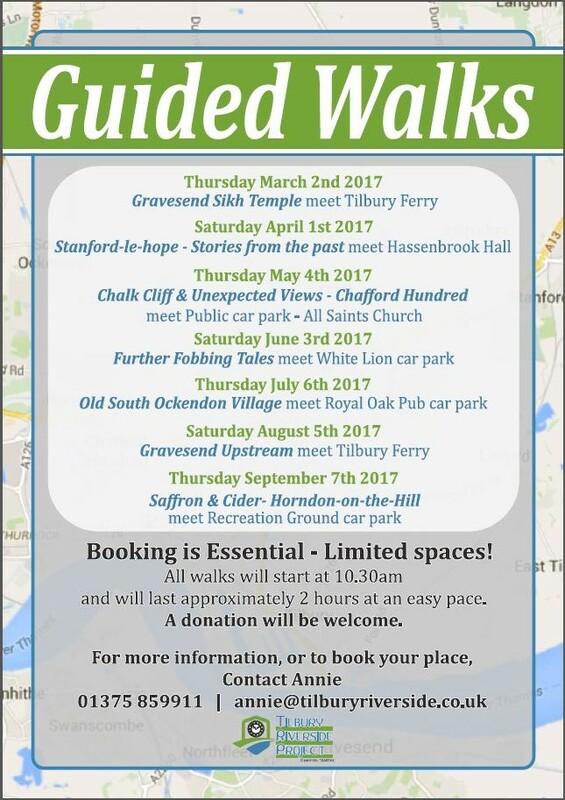 Here is the new 2017 programme of heritage guided walks from the Tilbury Riverside Project. 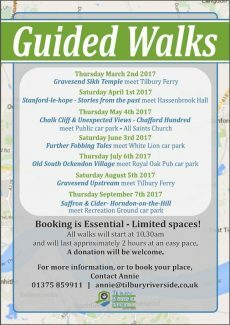 All the walks MUST be booked by email (annie@tilburyriverside.co.uk) or phoning Annie on 01375 859911. The walks are free but a donation is very welcome to help our work in the community ?- thank you.